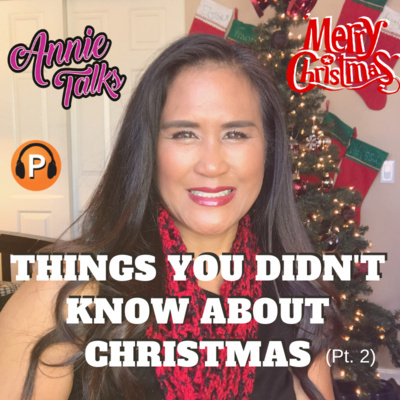 Annie Talks presents interesting stories about interesting people that you want to hear. 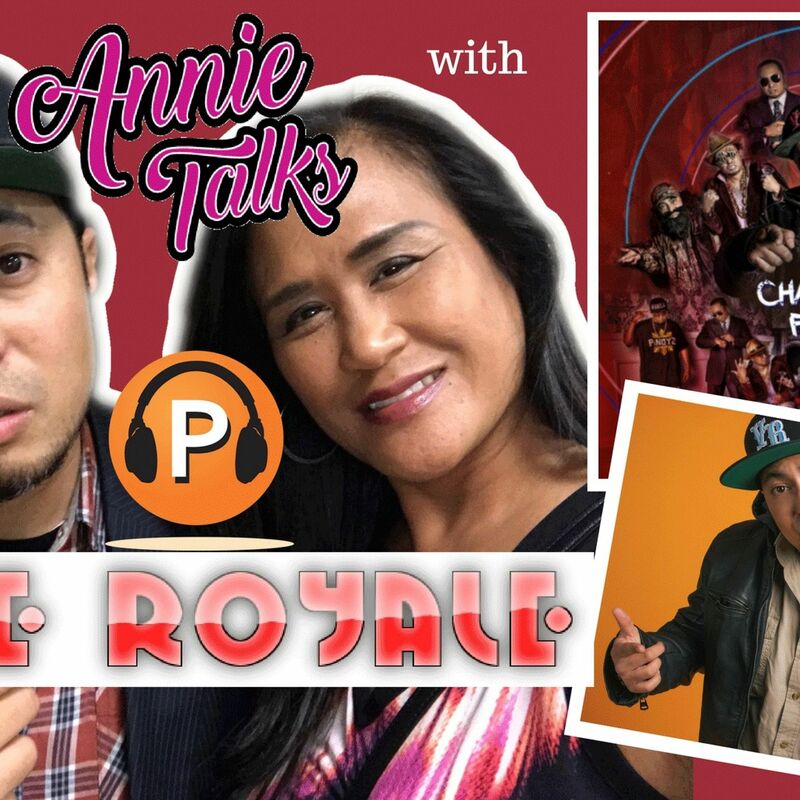 Annie Rivera is a YouTube video creator and influencer who has now crossed over to the Podcast world. Focus areas include Entertainment, Entrepreneurship, Events, Self-Development, Self-Improvement, Health and Fitness. 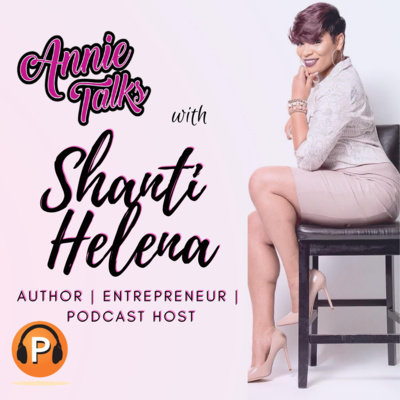 Annie holds a Master's degree in Communications, a Bachelor's degree in Public Relations with a minor in Radio, TV & Film. 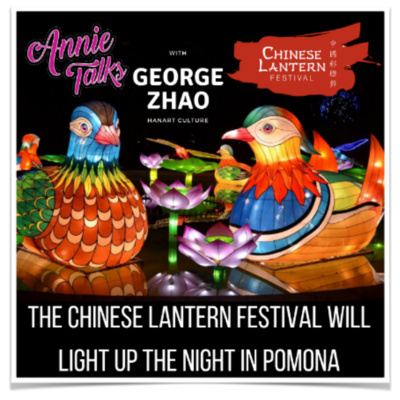 I had the privilege of speaking with George Zhao, president of Hanart Culture, which is the producer of the event. 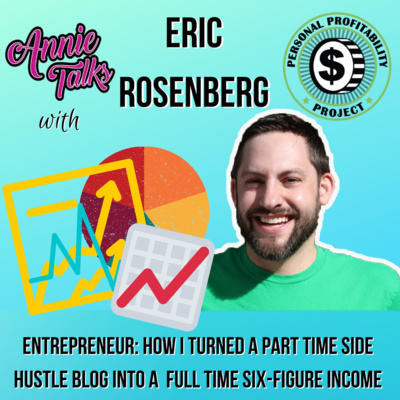 One thing I enjoy about my podcast is getting to know my guests no matter the topic, whether we're highlighting amazing athletes, talking with entertainers, or entrepreneurs, I absolutely love talking with guests. 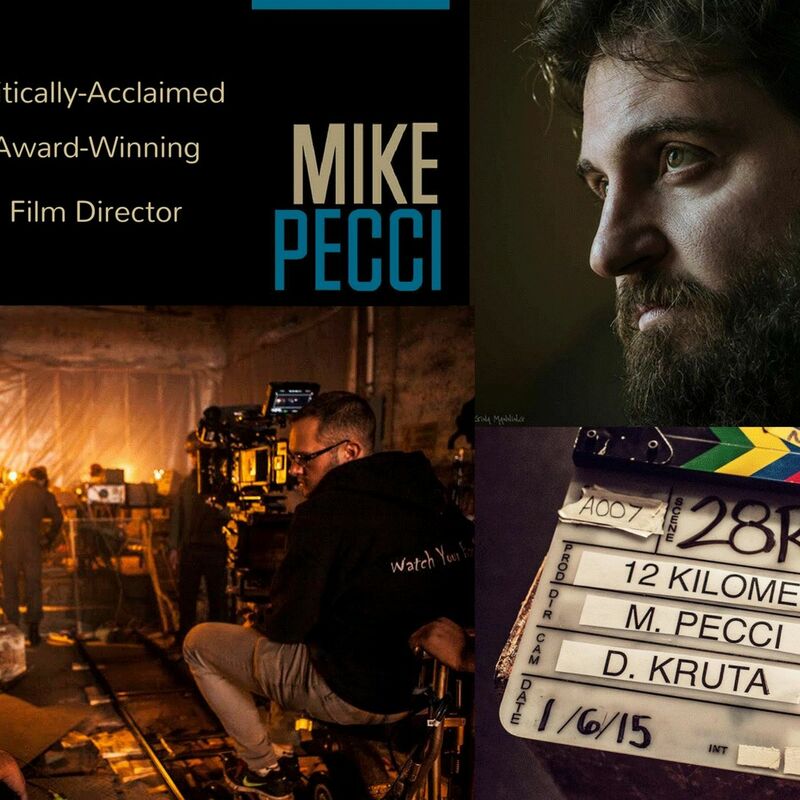 And I've said it before, I love behind-the-scenes or a great backstory. 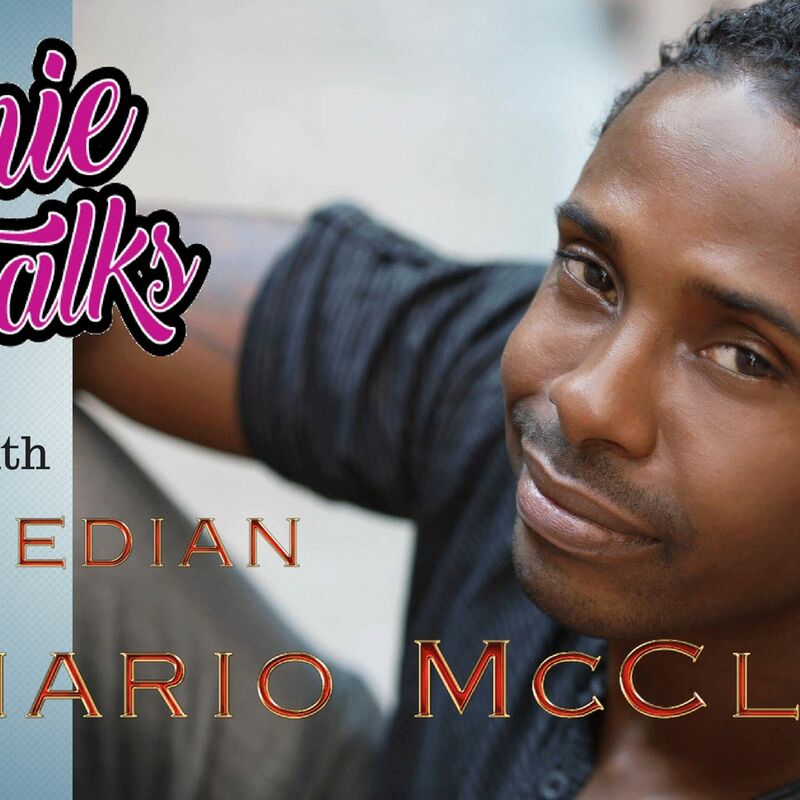 My guest on this episode is Leonard Dozier who is a multi-faceted actor, voice actor, recording artist, songwriter and musician who is one of the primary voices for NFL Films. His distinctive voice can be heard on the 2016 TV program "NFL Film Present: Tommy Brasher," and "Super Bowl LI (51), The Greatest Comeback in Super Bowl History." Leonard says it's been a long time, lifetime goal since he started voiceover work at age 19. Leonard shares his success story and even some of his low points, a family tragedy, and he shares about his upcoming record project with which we have a small sample of his new release "UNDERDOG." ALL of this in this packed episode. Fun Fact: Leonard Dozier has a spot-on impersonation of former President Barack Obama. Here's the link https://www.youtube.com/watch?v=ROgmcM4N-HA&frags=pl%2Cwn I hope you enjoy learning about Leonard Dozier - who has one of the most distinctive voices of the NFL. He also has an impressive Barack Obama voice, too! Don't forget his new album "SUNDAY WORD" is releasing on October 21 available on iTunes and major retailers. For more information visit www.leonarddozier.com. 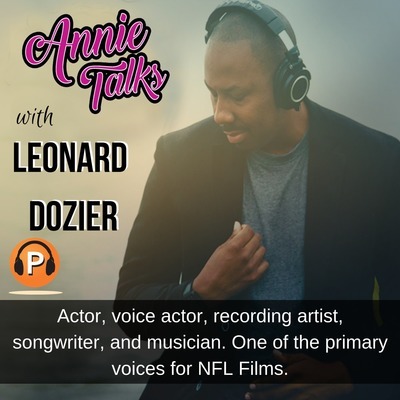 Follow Leonard Dozier on social media: Instagram: @leonarddoziermusic Instagram: @leonard.dozier Twitter: @leonarddozier Facebook.com/Leonard.dozier.71 #LeonardDozier #LeonardDozierVoiceActor #NFLFilms #DistinctiveVoice #VoiceofNFLFilms #Actor #VoiceOverActor #VoiceOver #RecordingArtist #Songwriter #Musician #GetBehindtheMic #SundayWord #Underdog #AnnieTalks Follow Annie Talks on social media: Instagram: @Annie_Talks Twitter: @Annie_Talks Facebook.com/AnnieTalks Snapchat: @annietalksshow If you enjoy this podcast episode, continue the conversation, ask a question about Leonard Dozier, or have a question about the episode, join the Annie Talks Community Facebook Group page. Finally, please consider contributing to my PATREON page. 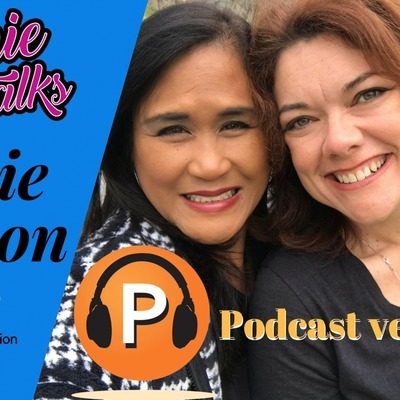 Your contributions will help to further the vision and mission of Annie Talks so that we could produce more episodes like this one and many other types of episodes and topics. 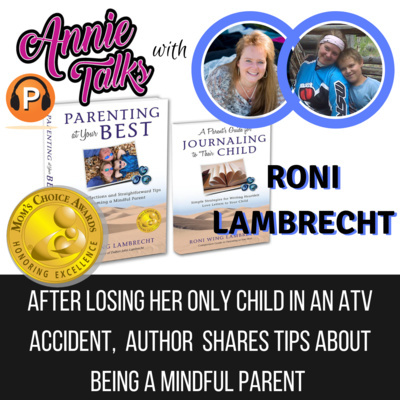 Thank you all again for tuning in and keep listening to ANNIE TALKS. 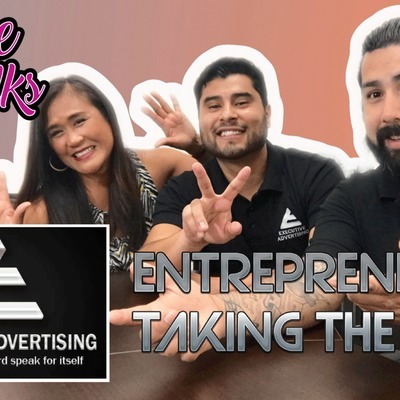 As we continue with the entrepreneur series, I also feature entertainers, performers, musicians and creative artists and we talk about projects their working on and so on. 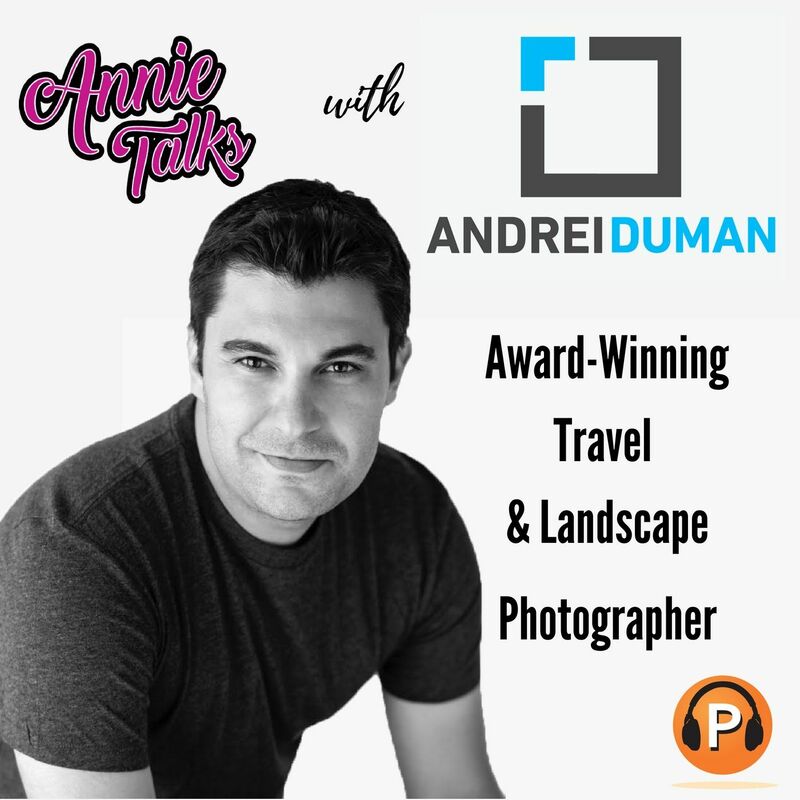 Now my next guest is not only a successful entrepreneur, but he is also a creative artist, an award-winning travel and landscape photographer based in Los Angeles, California -- ANDREI DUMAN. Originally from Romanian and transplanted in the United States, Andrei moved to New York for several years before settling in LA where he currently lives with his wife. He began his career as a semi-professional tennis player before moving on to investment banking. He has visited well over 80 countries so far and while on his travels, Andrei has captured some of the most spectacular photos you will ever see filled with unbelievable vibrant, stunning, rich and beautiful colors. His photos are clean, powerful and evocative: encouraging the viewer to look beyond what is right in front of them to the scale and breadth of what surrounds us. Andrei also holds unique workshops -- get this, on location in some of the most exciting and exotic locations as well as 1-on-1 private instructions. And...guess what? You get to select the DESTINATION! You will love hearing about all these beautiful countries and locations he's visited. I tell you, I live vicariously through him. I can only dream of places like these -- and yet, he's made his dream come true! So so so exciting! My takeaways from talking with Andrei are: 1) Never be afraid to try something new or something different. Take a chance, be adventurous and ambitious. Step out of your comfort zone. This not only applies to photography or landscape photography but EVERY aspect of life, right? It may not be what you expected -- you could have a vision of how things will play out in your mind, but until you actually put words and thoughts into action, you will never know if it's successful. If it fails, so what...it fails...learn from it, regroup, revamp, and go back out and do it again. 2) Get out and explore: You may have a scenario of what you think you're meant to do in life, whether that's pursuing a career in technology, teaching, or a mechanic -- exploring options can lead to surprising passions. 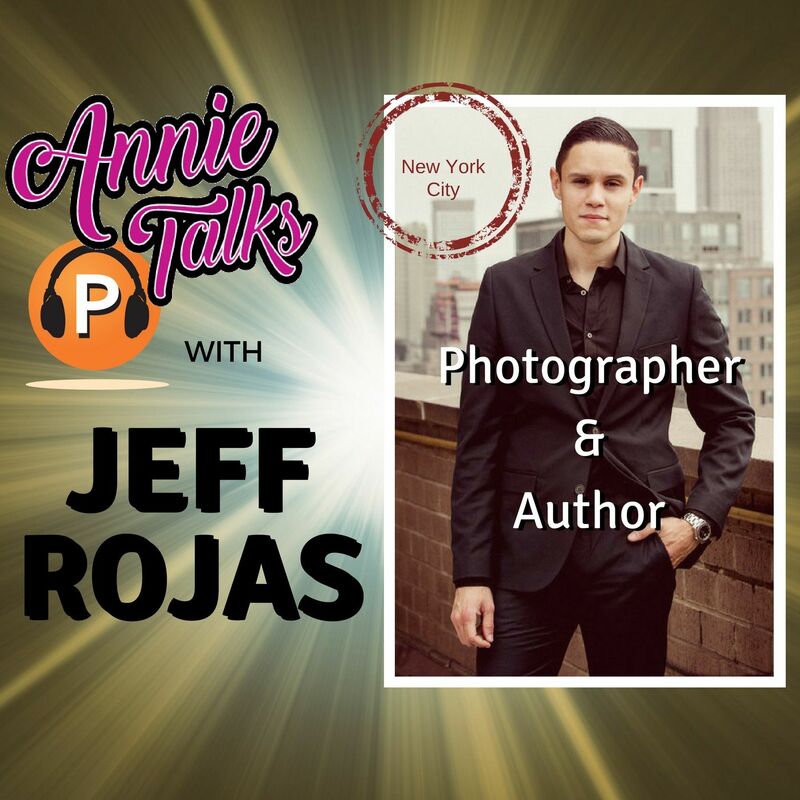 In Andrei's case, he started as a semi-professional tennis player but through his travels as a professional athlete, he discovered his passion for photography and now he's an award-winning, sought-after, in-demand travel and landscape photographer. I hope you found his story inspirational and motivational! I know I certainly did! Follow Andrei Duman: Website: www.andreiduman.com Workshops: www.....DumanWorkshops.com Facebook.com/Andrei.Duman Instagram.com/DumanPhotography Twitter.com/DumanPhotography #AndreiDuman #DumanPhotography #DumanWorkshops #AndreiDumanPhotography #AwardWinner #AwardWinning #AwardWinningPhotographer #UpFromBelow #ProjectRope #AnnieTalks Follow Annie Talks: Website: www.AnnieTalks.com Facebook.com/AnnieTalks Instagram.com/Annie_Talks Twitter.com/Annie_Talks Snapchat: @annietalksshow Please consider contributing to the Annie Talks PATREON page at www.patreon.com/AnnieTalks. 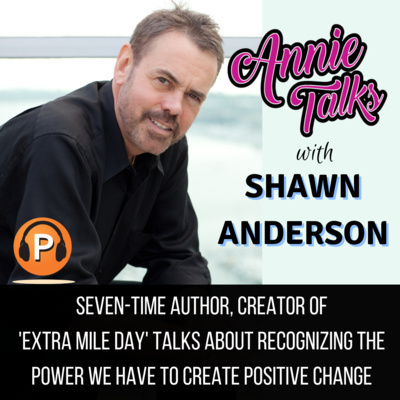 Your support will help to further the mission and vision of Annie Talks so that we can produce many more episodes and topics like this one. 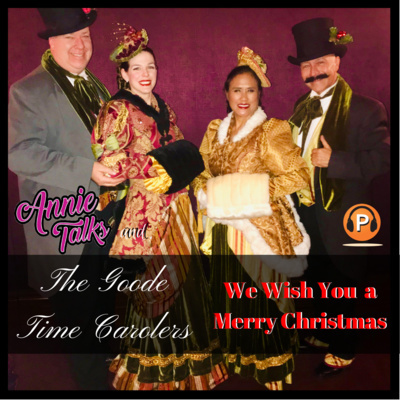 Thank you and Keep Listening to Annie Talks. 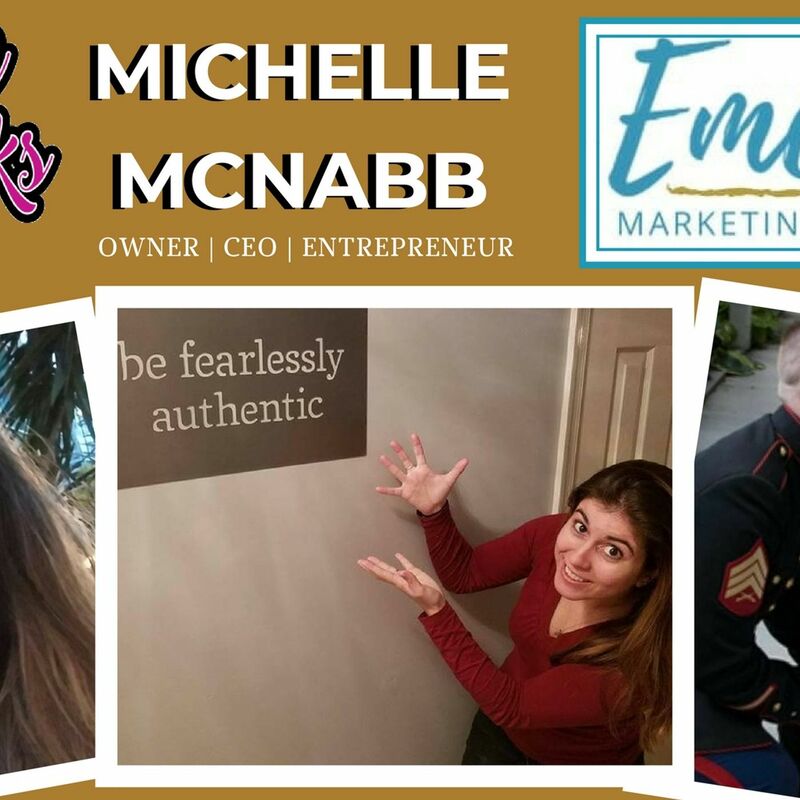 As we continue with the ENTREPRENEUR series, I wanted to highlight a dynamic woman business-owner. This person is someone whose promo appeared on my Facebook newsfeed. I was drawn to her almost instantaneously due largely in part by her photos from the beach, from exotic-looking places, and secondly by her story. And you know how much I love a good story! 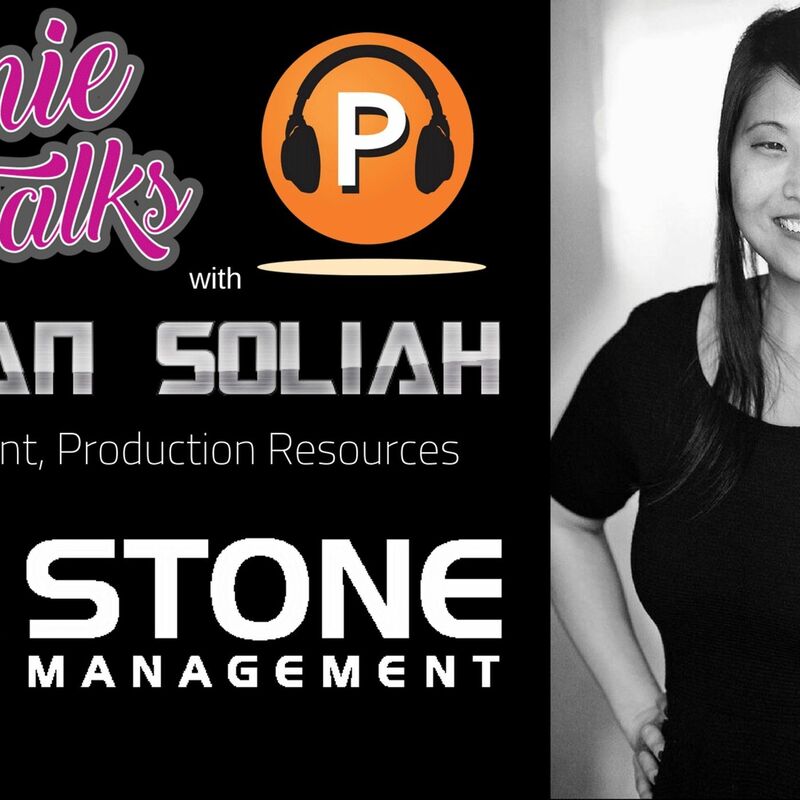 My guest on this episode is Joan Dizon -- a wife, mom, traveler, & entrepreneur. She is the CEO of 'Living The Daydream.' Joan says she admits to forgetting to wash her face at night and usually wears the same denim shorts 4 days in a row, and has a new addiction for surfing. 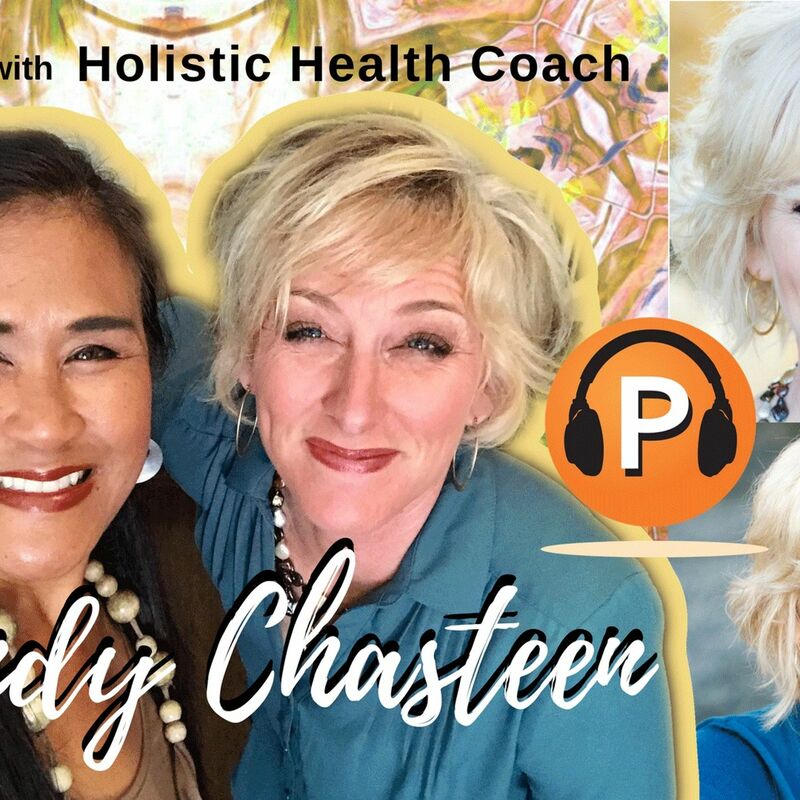 Joan is currently in the beautiful islands of the Philippines and mentors women entrepreneurs & teaches online classes. My takeaways from talking with Joan are: 1) Have a vision, Visualize your goal, and Vocalize and share your Vision with others. As you've heard, Joan shared what she wanted, and what she was striving for in life with her family. 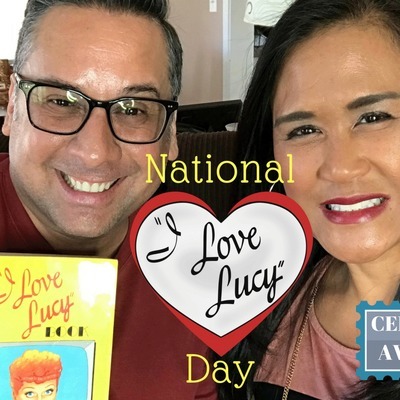 She shared this vision with her family, friends, and within her network and she is certainly meeting her goals to this day and Living the Daydream. 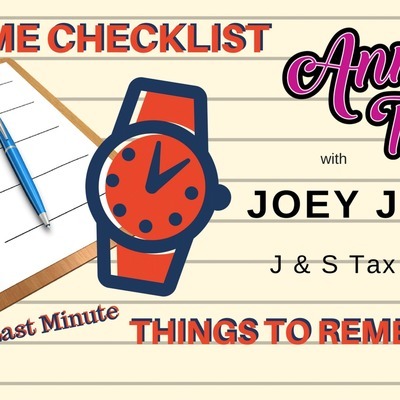 2) Stay laser focused -- multitasking is great and for most women (and some men, too) we are great at multitasking, but if you stay focused on one thing at a time - you become more productive and more efficient. 3) Start your day off with meditation. Whether that be prayer, devotionals, journaling, outlining your day, or reflecting on the past few days -- starting off your day in quiet time will help set the tone for the rest of the day, and even alleviate stress and anxiety. 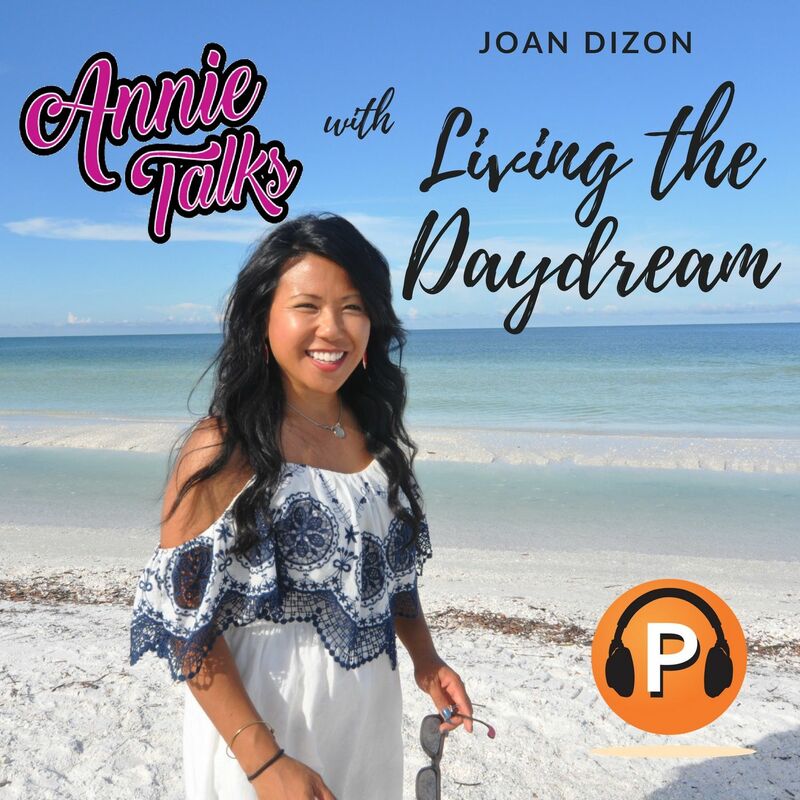 Joan's online classes include: Living The Daydream Masterclass - Your elixir for a fulfilled life & actualized daydreams Magnificent Money Multiplier Workshop - Prosperity consciousness & money mindset Business Creator & Mastery Program - Creating a business that you love and earning what you deserve Joan's social media links: https://www.facebook.com/groups/LivingTheDaydream/ https://www.instagram.com/living_the_daydream_ceo/ Follow Annie Talks on: Instagram - @Annie_Talks Twitter - @Annie_Talks Facebook.com/AnnieTalks Snapchat - @annietalksshow If you enjoy this podcast, please consider contributing to my PATREON page at https://www.patreon.com/annietalks. 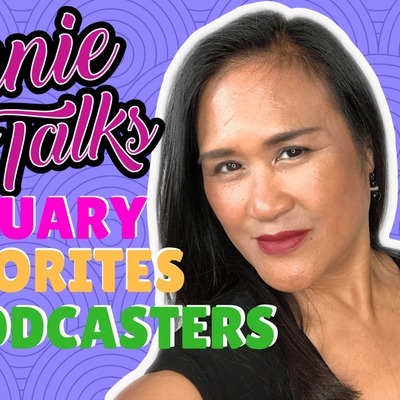 Your contributions will help to further the vision and mission of Annie Talks so that we could produce more episodes like this one and many other types of episodes and topics. 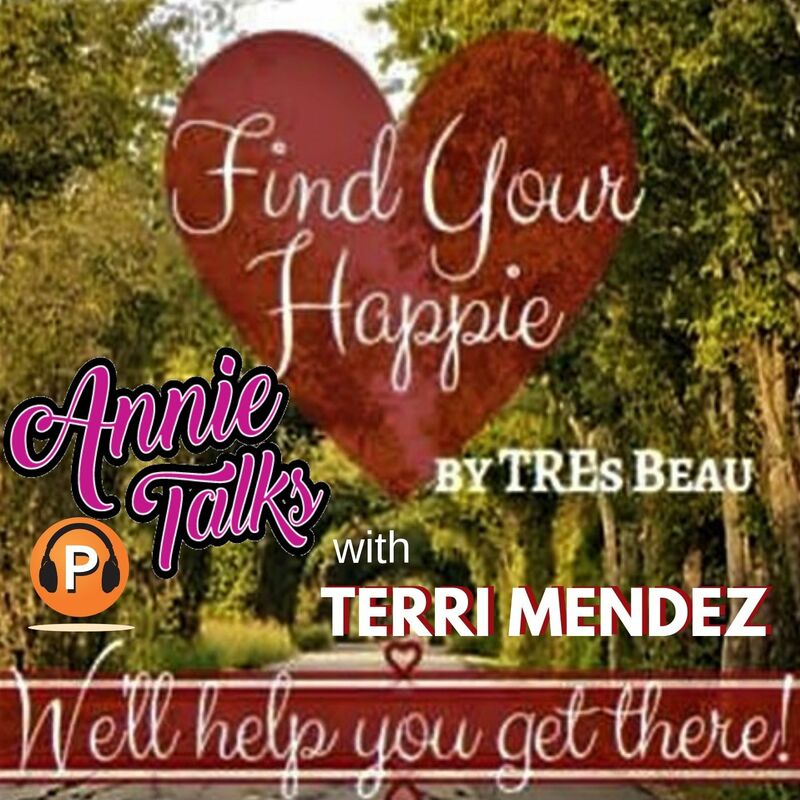 For more information visit www.AnnieTalks.com or email annie@annietalks.com Thank you all again for tuning in and keep listening to ANNIE TALKS. 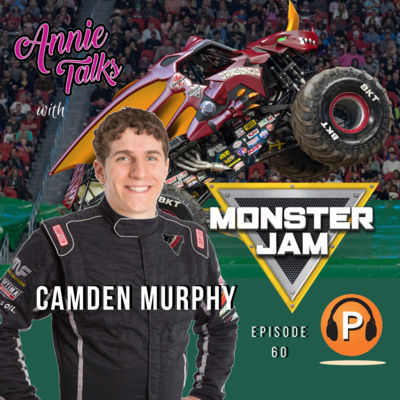 My guest on Episode 31 of Annie Talks is Mark Clinton - Public Address Announcer. I met Mark in 2009 where he was the Public Address announcer at El Dorado High School and had been the school's announcer for decades. Mark has been announcing for 27 years now. 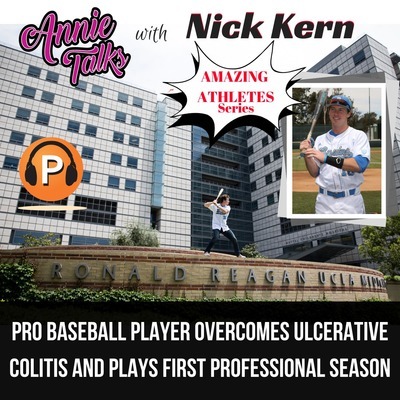 Today he is one of the PA announcers for the High A Minor League Rancho Cucamonga Quakes, a farm team for the Los Angeles Dodgers Organization. Mark, who played baseball at El Dorado High School, tells the story of how an injury led to the start of his career as an announcer. His love of the game led to his gig as the resident PA announcer, thus opening up the doors to many other opportunities. 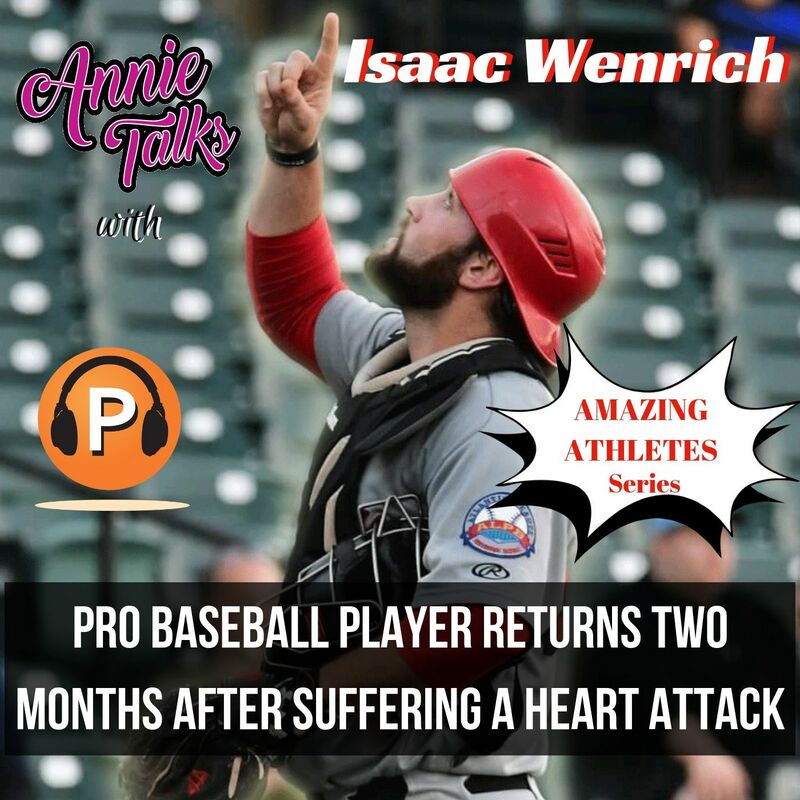 He's had the joy and pleasure of working with 4 different High Schools, (El Dorado, Orange Lutheran, Canyon & Murrieta Mesa), 3 different Colleges, (Fullerton, Santa Ana && UC Riverside), the Fellowship of Christian Athletes (FCA)- Collegiate summer team, and 3 Minor League teams (Quakes, Storm & 66ers). He has a simple approach to his craft: RESPECT EVERYONE. It's very evident that Mark truly enjoys what he does, and and it definitely shows. Here now is my conversation with Mark Clinton. 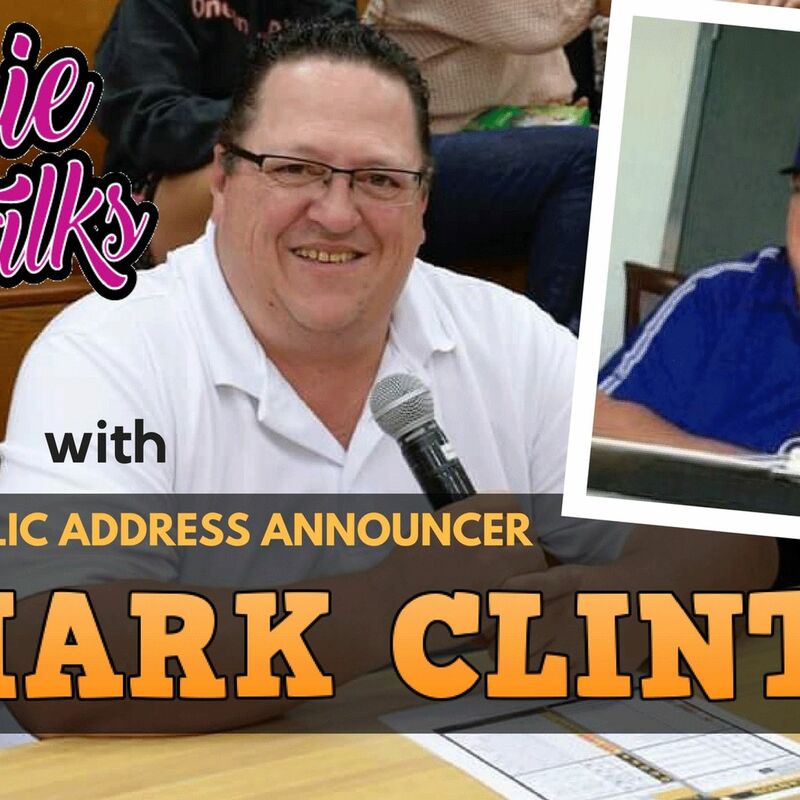 Follow Mark on social media: Facebook.com/MarkClinton17 Twitter - @PaMarkcinton17 Email: pa.mark.clinton17@gmail.com #MarkClinton #PublicAddressAnnouncerMarkClinton #PAAnnouncerMarkClinton #ElDoradoHighSchool #ElDoradoHighSchoolBaseball #ElDoradoHighSchoolBasketball #ElDoradoHighSchoolFootball #OrangeLutheran #RanchoCucamongaQuakes #MinorLeagueBaseball #MinorLeague #LosAngelesDodgers #UCRiverside #FullertonCollege #SantaAnaCollege #CanyonHighSchool #MurrietaMesa #FellowshipofChristianAthletes #FCA #Quakes #Storm #66ers #Baseball #AnnieTalks ***** MUSIC “Annie Talks” theme song by Keahi Music http://www.keahimusic.com/ Other music: All music used in this video provided by - courtesy of YouTube Audio Library if you enjoy this podcast, please consider contributing to my PATREON page at https://www.patreon.com/annietalks. 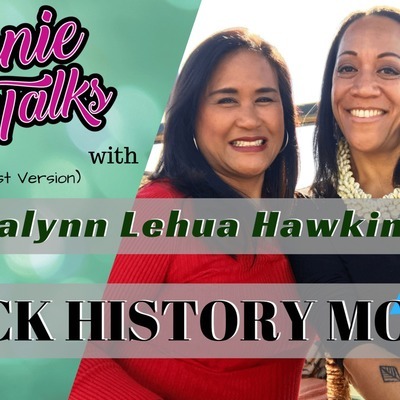 Your contributions will help to further my vision and mission to bring more episodes like this one and many other types of episodes and topics. 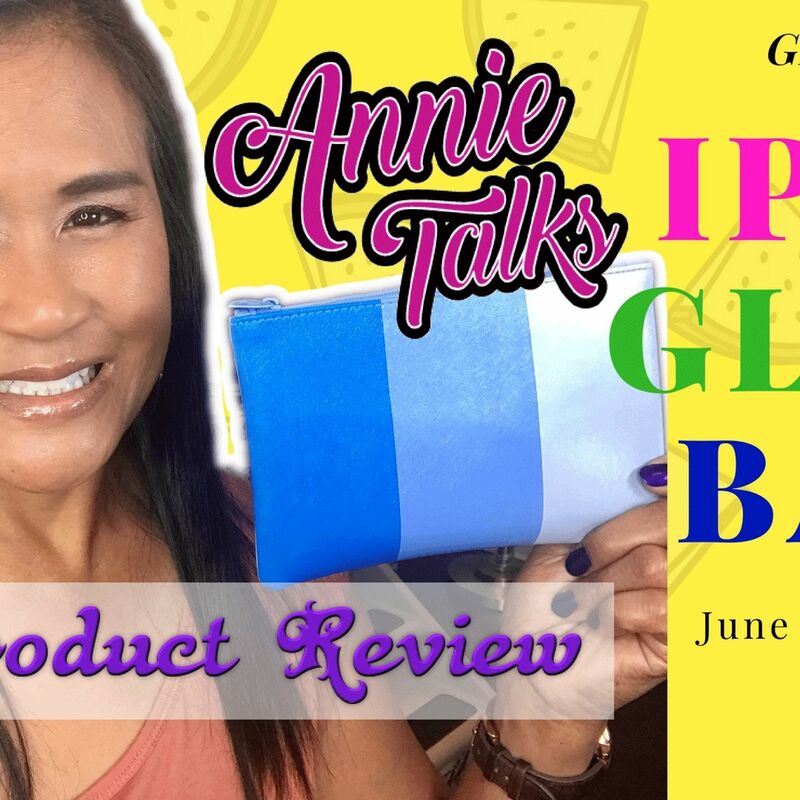 For more information or to reach Annie Talks, email annie@annietalks.com or visit www.AnnieTalks.com. 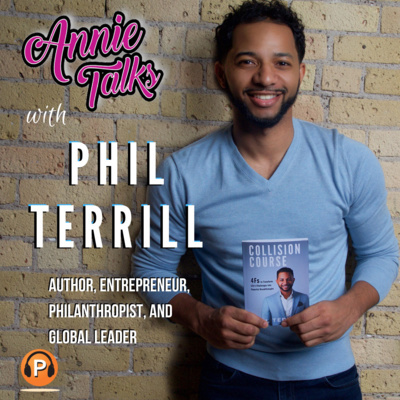 Episode 28 - Annie Talks with Jamarr Brown, author of "Selling in Color." 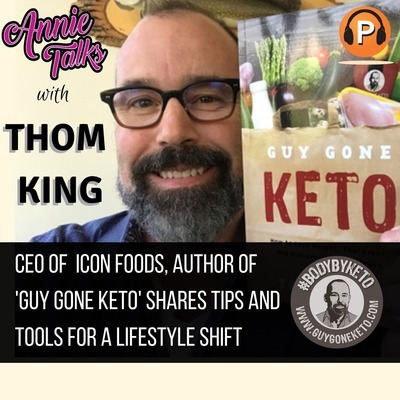 My guest on today's show is someone I met at a networking meeting recently where he was one of the speakers at that event. JAMARR BROWN is an author, keynote speaker, and founder of the "SELLING IN COLOR SALES SYSTEM." He is also the host of the "BREAK IT DOWN BROWN" Internet radio and online television program. 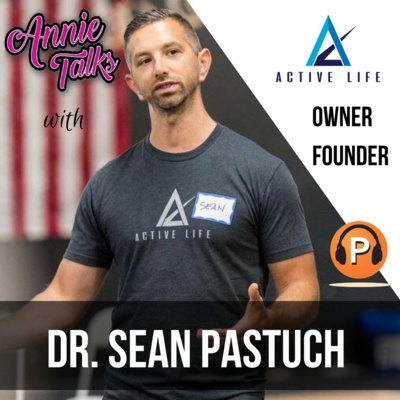 He has an award-winning track record in Corporate America achieving such honorable awards as Sales Person of the Year, Sales Manager of the Year, and being a Vice President of Sales for a billion-dollar medical device company by the age of 30. He also successfully led the marketing efforts for a 200 million-dollar Pharmaceutical Brand. JaMarr is the author of 3 highly acclaimed books and several audio programs including his latest release title, "How to deal with post-traumatic sales syndrome." His passion is to help business professionals uncover, unlock and unleash their true potential. 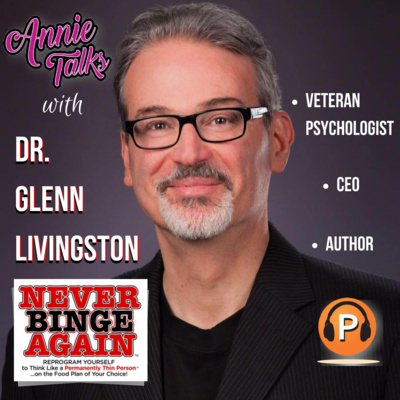 His combination of proven results and an ability to connect with audiences on a personal and inspiring level makes him a speaker that truly transforms the mindsets of his audience. 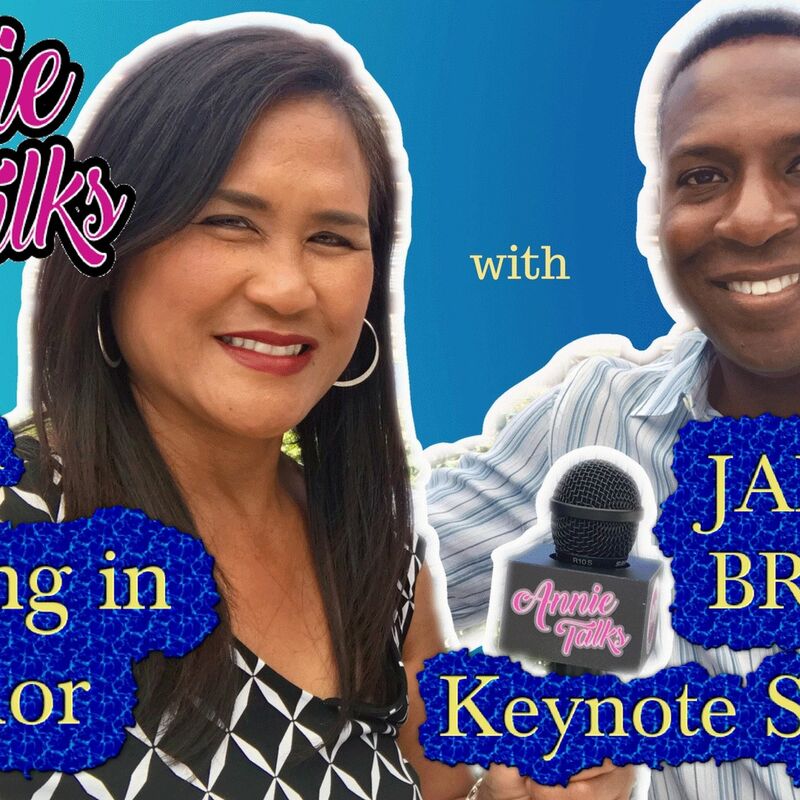 Follow Jamarr Brown on social media: Facebook - https://www.facebook.com/Selling-In-Color-1790321404551508/ Twitter - https://twitter.com/jamarr_brown LinkedIn - https://www.linkedin.com/in/brownjamarr/ Websites: www.JamarrBrown.com www.sellingincolor.com or call (949) 371-9077 or by email at jamarr@jamarrbrown.com #JamarrBrown #JamarrBrownAuthor #JamarrBrownSellingInColor #JamarrBrownKeynoteSpeaker #JamarrBrownEntrepreneur #AnnieTalks *********** MUSIC “Annie Talks” theme song by Keahi Music http://www.keahimusic.com/ Other music: All music used in this video provided by - courtesy of YouTube Audio Library if you enjoy this podcast, please consider contributing to my PATREON page at https://www.patreon.com/annietalks. 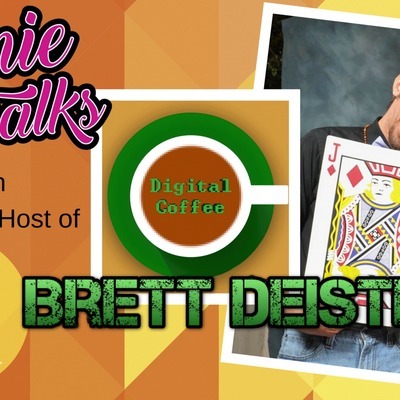 Your contributions will help to further along my vision and mission to bring more episodes like this one and many other types of episodes and topics. 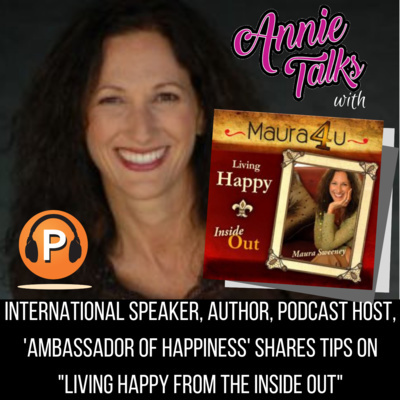 For more information or to reach Annie Talks, email annie@annietalks.com or visit www.AnnieTalks.com. 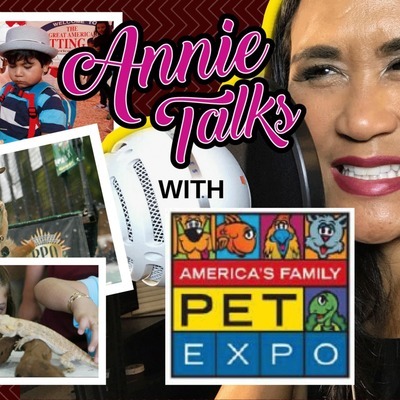 Episode 24 - Annie Talks with spokesperson Jennifer Becker of America's Family Pet Expo coming to the Orange County Fair & Events Center in Costa Mesa, Calif., April 27-29. America's Family Pet Expo celebrates is 29th annual Pet Expo featuring a herd, a pack, a bunch, a bushel, and a litter of animals to appeal to any person's fancy, including: Sea Lion Splash Show - a unique mobile aquatic experience combining both marine fun and environmental education. Sea Lion Splash Show features rescued sea lions from both California and South America. JustFoodForDogs - on-site cooking demonstrations. The “Find Out What’s Cooking” talks will feature lessons on how to create homemade meals to promote optimal health, longevity, and well-being for dogs. OC Bee Keepers - educational showcase explaining how bees fit into nature's ecosystem. Aquasaping Contest - an especially made-for Kid’s Aquarium Contest teaching families how to care for, clean and maintain an aquarium for their watery and slippery pets. Also returning are fan-favorites Repticon (reptile show and sale), the ever-popular Splash Dogs, and The Great American Petting Zoo, family fun the whole family will enjoy. 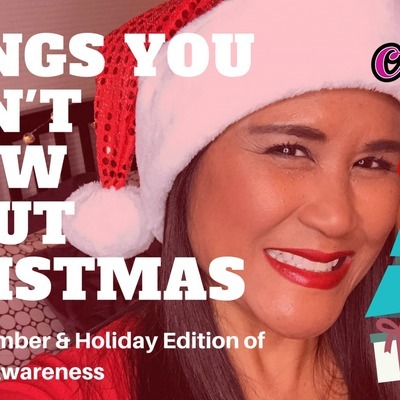 There will be many shows, attractions, great food and drinks, vendors highlighting new and trending products, pet clothing, pet food, grooming tips, safety and care tips and so much more for the entire family. When: April 27, 28, 29 Where: OC Fair & Event Center, 88 Fair Drive, Costa Mesa 92626 Time: Friday 10am-6pm; Saturday 10am-7pm; Sunday 10am-6pm Kindly leave all pets at home. For more information and to purchase tickets online visit www.PetExpoOC.org. Active and retired military free with ID. America’s Family Pet Expo is created, produced and managed by World Pet Association, Inc., a 68-year-old nonprofit organization dedicated to promoting responsible pet care. #AmericasFamily #PetExpo #AmericasFamilyPetExpo #OrangeCounty #FairandEventsCenter #OrangeCountyFairandEventsCenter #CostaMesa #SeaLionSplashShow #Repticon #SplashDogs #JustFoodForDogs #OCBeeKeepers #TheGreatAmericanPettingZoo #Aquascaping #Aquarium #TheCatitPlayground #Catitude #CooksRacingHogsandDogs #ButterflyPavilion #Bayardchickens #PoliceDogDemo #TortoisePettingZoo #TouchTank #ExoticBirdShow #FreeFlightBirdShow #PettingZoo #OrangeCoastCollegeMarineOrganism #TouchTank # TheInternationalCatAssociation #AnaheimPoliceandProtectionDogs #AnnieTalks “Annie Talks” theme song by Keahi Music http://www.keahimusic.com/ Follow on social media: Facebook.com/AnnieTalks Instagram: @Annie_Talks Twitter: @Annie_Talks YouTube.com/c/AnnieRivera For more information visit www.AnnieTalks.com or email annie@annietalks.com. 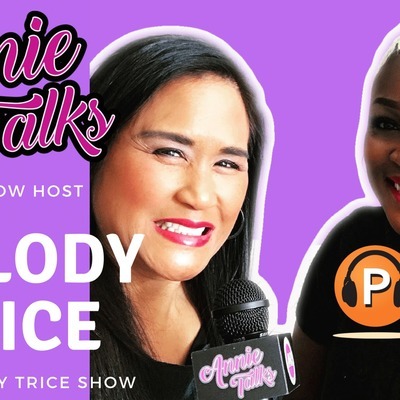 In Episode 16, Annie Talks with TV/talk show host, actress and YouTube star Melody Trice of The Melody Trice Show. Melody, originally from the small town Century in Florida, moved to California after years as a beautician in Alabama. Her mantra, “Living Life Unlimited” was a heaven-sent motto by which she lives by every day. 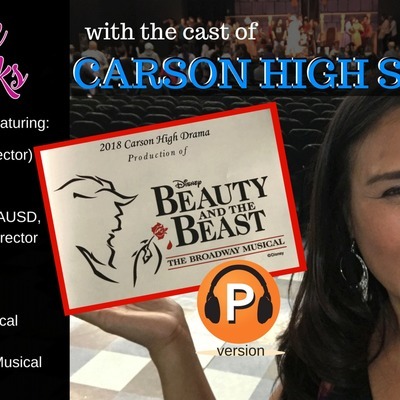 Melody stares challenges head on and conquers them one day at a time, making the best of each moment, and living her life as she intends, all while pursuing her lifelong goal of creating and establishing her own TV network. I think we can all garner our own lifelong lessons from her examples to live life to the fullest, staying focused, and pursuing your dream! I love her energy, enthusiasm, and ambition! Follow Melody Trice on Social Media: YouTube - https://www.youtube.com/channel/UC1dsJzxaEtsYjS50nlk6hkA Facebook - https://www.facebook.com/tricemelody/ Twitter - https://twitter.com/melodytrice Instagram - https://www.instagram.com/themelodytriceshow/ Tumblr - https://www.tumblr.com/search/melody+trice Pinterest - https://www.pinterest.com/melodytrice/the-melody-trice-show/ IMDB - http://www.imdb.com/name/nm6831590/bio?ref_=nm_ov_bio_sm Melody Trice website: https://www.melodytrice.com/ *********** MUSIC: Annie Talks theme song - Music by Keahi http://keahimusic.com/ All music used in this video provided by - courtesy of YouTube Audio Library Down The Way by Audionautix is licensed under a Creative Commons Attribution license (https://creativecommons.org/licenses/by/4.0/) Artist: http://audionautix.com/ Hope Against Hope by Audionautix is licensed under a Creative Commons Attribution license (https://creativecommons.org/licenses/by/4.0/) Artist: http://audionautix.com/ *********** Follow Annie Talks on Social Media: Facebook - www.facebook.com/AnnieTalks/ Twitter - @Annie_Talks Instagram - @Annie_Talks Website - www.AnnieTalks.com YouTube channel - www.YouTube.com/c/AnnieRivera Thank you and keep listening to Annie Talks! 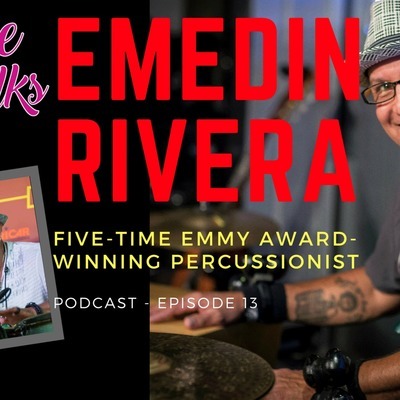 In Episode 13 on the Annie Talks podcast, my guest is five-time Emmy Award-winning percussionist, Emedin Rivera -- no relation at all, in case you were wondering. Born and raised in the Bronx, NY, Emedin started playing the bongos at the tender age of 8 years old, due largely in part to his father and uncle who also played the bongos in Puerto Rico. The way in which Emedin plays percussions is mesmerizing as he blends Latin Caribbean with African, Fusion, merengue, salsa, etc...you name it, he plays it. Emedin has recorded with heavyweights in the music industry such as Harry Belafonte, Gregory Hines, Ben E King, Dave Samuels, Latoya Jackson, Vicky Sue Robinson, and the list goes on. Emedin has also recorded LIVE with Larry Coryell, Bob James, Chuck Mangione, Rick Cua, Denise Williams, and that list goes on and on. Emedin is no stranger to music, as you can tell from this impressive list of credits, but he has also "invented" a new type of instrument (with the help of master craftsmen Matthew Smith of Ritmo percussion) which you'll learn more about in the podcast. Be sure to visit his website at www.EMEDINRIVERA.COM, where you can find out more information about the release date for his new record, view his videos, sample his music, and see photos. 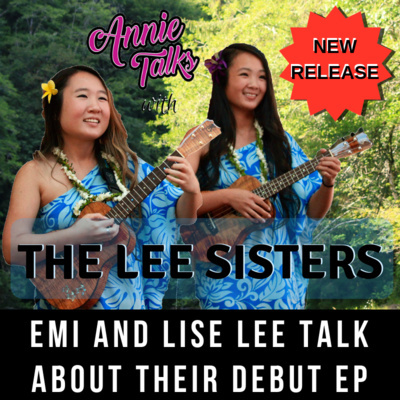 Or you can check out my website at www.AnnieTalks.com where I will also update Emedin's upcoming release date and more information. 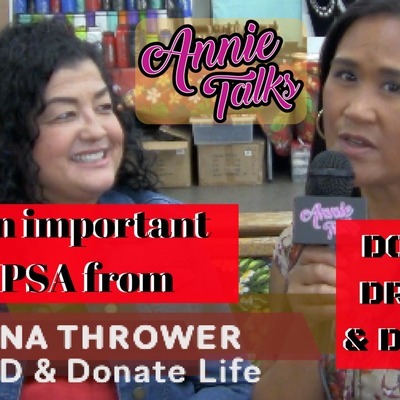 Also, to learn more about the Conga Toms™ check out Emedin's YouTube video at https://www.youtube.com/watch?v=H7CGUGvK9Io So without further adieu, here now is my conversation with Emedin Rivera. 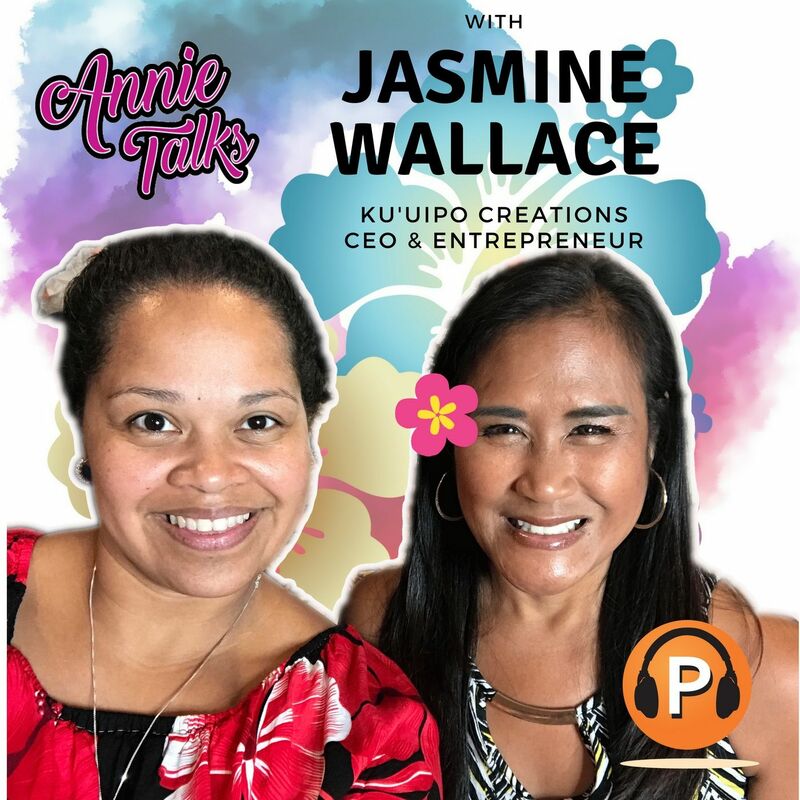 If you follow my YouTube channel, you may have seen my next guest on one of the episodes, the first of these Hawaiian-style jam sessions called "Kanikapila." An artist named Alissa Hunnicutt. Alissa is an upcoming new artist to follow. She is a very promising songbird who plays a mean ukulele. 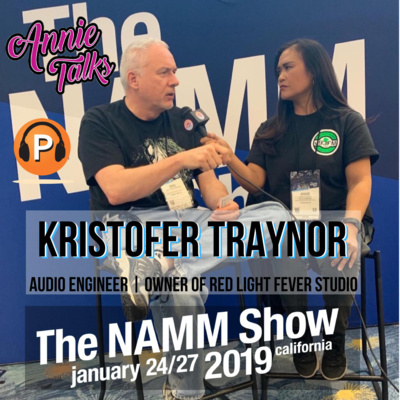 I recently caught up with Alissa at the 2018 #NAMMShow, and for those unfamiliar with #NAMM it is the National Association of Music Merchants, where music companies, event-goers and industry folks from around the globe, gather to the see and hear the latest in musical instruments, music production, music technology, music software...you name it, music everything. Alissa hails from Iowa City, Iowa. She holds an undergraduate degree in Voice from University of Iowa, and later attended graduate school at Manhattan School of Music in New York City, New York where she lived for 20 years. 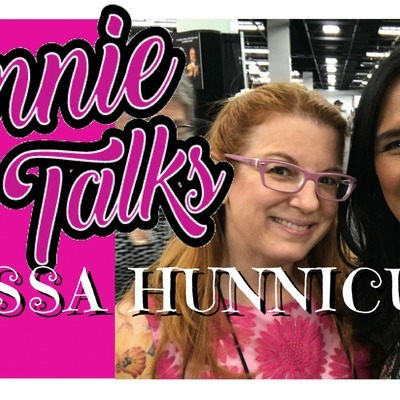 So now, without further adieu, is my discussion with Alissa Hunnicutt...We pick up the conversation where she talks about studying in New York. 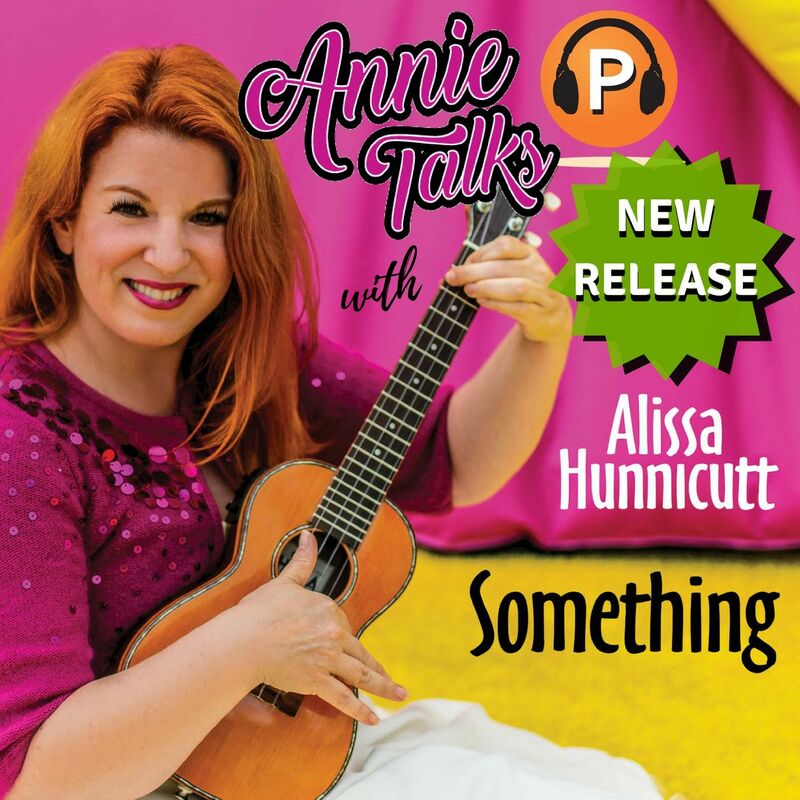 Follow Alissa on social media: Facebook - https://www.facebook.com/puppetmissy Facebook page - https://www.facebook.com/alissahunnicuttmusic/ Instagram - https://www.instagram.com/puppetmissy/ For show dates mentioned in this podcast and for more information on Alissa Hunnicutt, please visit her website at http://alissahunnicutt.com/ If you haven't already checked out my YouTube channel, be sure to visit www.YouTube.com/c/AnnieRivera. 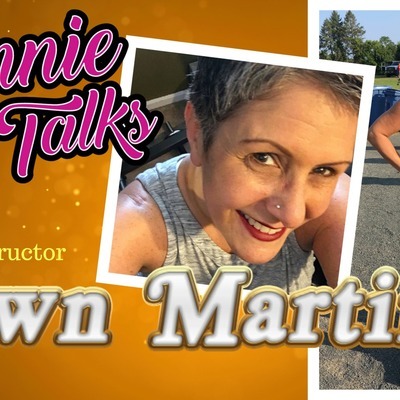 There you'll find interesting videos on fitness, product reviews, tutorials, my CELEBRATION AWARENESS videos and other Annie Talks and special guests. And last but not least, if you haven't already SUBSCRIBED to my podcast, be sure to hit SUBSCRIBE and be notified of new episodes. Thank you all again. 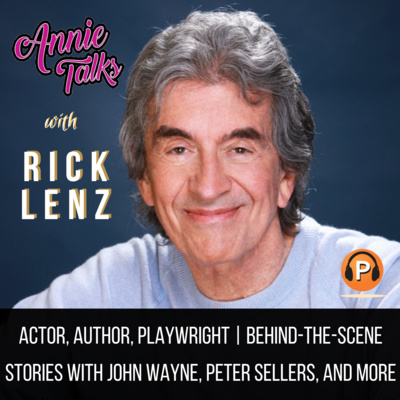 Keep listening to ANNIE TALKS. 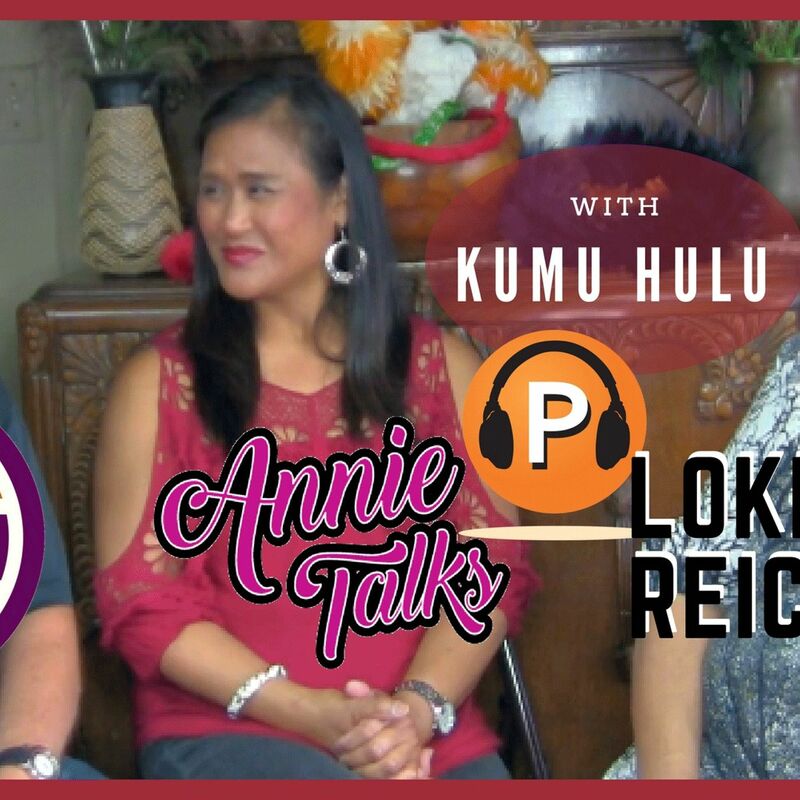 In Episode 8, the Sandwich Islands Network (SIN) Radio Krew and Annie Talks with Hawaiian artist, singer/songwriter and performer Keahi. This is my debut radio session with SIN after recently joining the Krew. 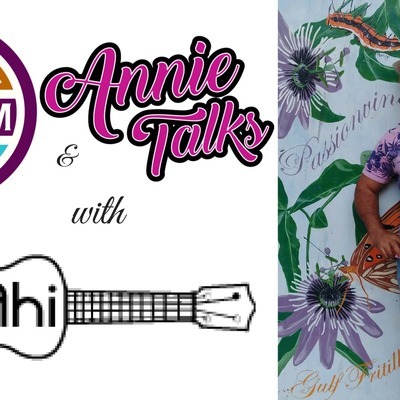 We talked to Keahi about his new CD "It's Time" and the inspiration behind the single "It's OK." Keahi, originally from Waianae, Hawaii, has a music style like no other to include Island Contemporary infused with jazz, big band, Reggae, country, and many others. 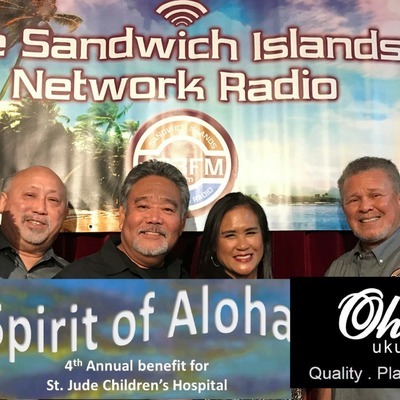 For more information on Music by Keahi, visit: www.KeahiMusic.com Follow Keahi on social media: Facebook - @KeahiMusic Instagram - @musicbykeahi Email: MusicByKeahi@gmail.com Listen to the Sandwich Islands Network Radio on www.V93FM.com, streaming Hawaiian and Island Contemporary music 24/7 on Internet radio. 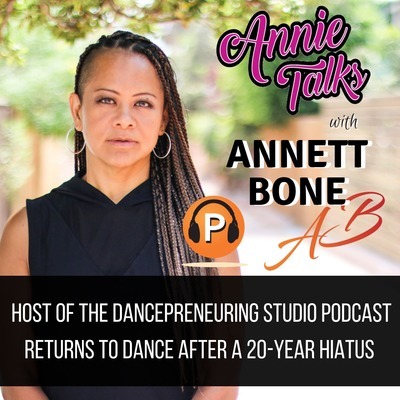 Episode 7 - Annie Talks with Alphonso Walker Jr in "Beauty and the Beast"
In this podcast, Annie Talks to a good friend, Alphonso Walker Jr who relocated from his home state, Florida, to Los Angeles, California to pursue a career in Television and Film. I met Alphonso a few years ago and together we performed in the musical “Chess” in the city of Long Beach. He is a very talented singer/actor/dancer who has the drive and dream to be in TV & Film. Alphonso, in this podcast, has a positive spin on taking challenges and turning them into opportunities to adjust, rather than conform to the norm. This philosophy is the key factor in what sets himself apart from others. He has demonstrated a strong work ethic in all that he does, and I can certainly attest to that, having seen first hand his dedication in all performances and any leading or supporting role he lands. He also shares tips for aspiring actors to know, but above all else, the most important lesson is to BE YOURSELF. 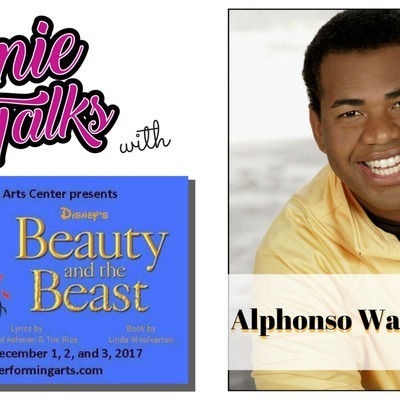 Alphonso will be performing in Disney’s “Beauty and the Beast” at The Taylor Performing Arts Center through December 3, 2017. 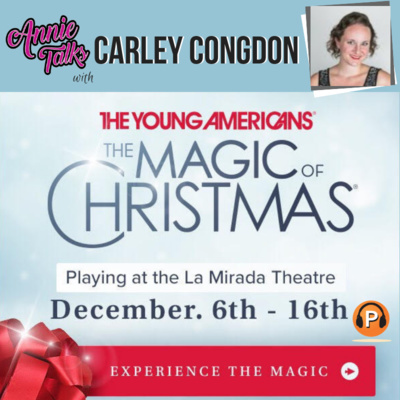 For tickets and show times, visit lktaylorperformingarts.com. ABOUT ALPHONSO WALKER JR Alphonso Walker Jr. is a graduate of Florida Atlantic University with a Bachelor’s of Fine Arts in Theatre Performance and Minor in Dance. He specializes in Musical Theatre and Dance, and holds the firm belief that dancing is fun that everyone can in enjoy. At Florida Atlantic University, Alphonso performed in Cabaret (Ensemble), Beauty and the Beast (The Beast) and was an active member of the Department of Theatre and Dance Student Choreography Showcase. His First professional job was at Jubilee Dance Theatre of Ft. Lauderdale, FL as an ensemble dancer under the Artistic Direction of Lu Welters. Dancing his way into a position as a semifinalist on FOX’s So You Think You Can Dance for the Miami segment Alphonso was not selected for Vegas. However he returned to the stage in The Classical Theatre of Harlem’s Romeo and Juliet (Peter/Gregory/Ball Dancer). His more recent performances are in Westside Story (Pepe), Footloose (Cowboy Bobby) and Jesus Christ SuperStar (Simon) and is excited to be a part of this talented cast in Dream Girls. Here now is my conversation with Alphonso Walker Jr. The holiday season is upon us and typically around this time of year, Feld Entertainment presents Disney On Ice skates into town with a winter wonderland of fantasy, magic and unforgettable memories. 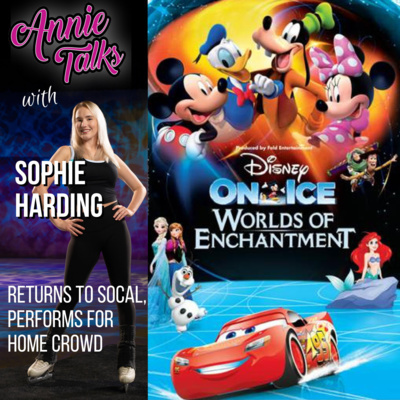 This year, all of Southern California anxiously awaits Disney On Ice presents 'Follow Your Heart' coming to a location near you from December 14, 2017 through January 7, 2018. The first location is the Staples Center in Los Angeles from Dec. 14th through the 17th. Next stop is the Honda Center in Anaheim from Dec. 20th through the 24th. 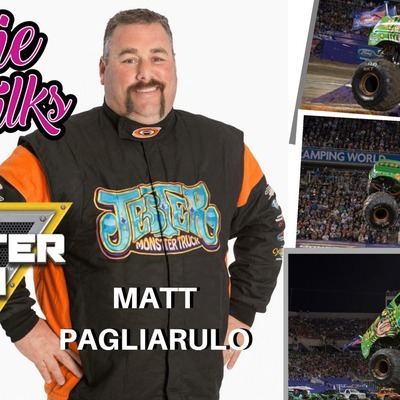 Followed by the Long Beach Arena in Long Beach from Dec. 27th through Jan. 1st, 2018. And then finally at Citizens Business Bank Arena in Ontario from January 3rd through the 7th, 2018. For tickets, show dates and times at a location near you, be sure to visit Ticketmaster.com or call (800) 745-3000. Now, to help talk about this show, I had a chat with Justine Lopez, a lively and vibrant ensemble performer. 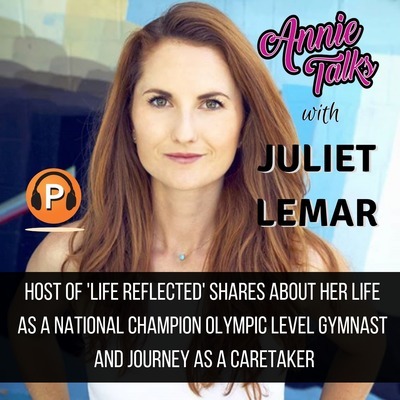 Born and raised in the Sacramento, Calif., Justine began skating at age 7 1/2 and overcame the biggest obstacle of her career and her life, when she underwent scoliosis surgery at around age 10. She had to relearn to walk and skate again, despite doctors telling her she would never be able to do so ever again. She would go on to win several medals in competitions and later began coaching figure skating, and she coached and competed in ballroom dancing. Justine credits her Mom and Canadian figure-skater Kurt Browning as her role models. 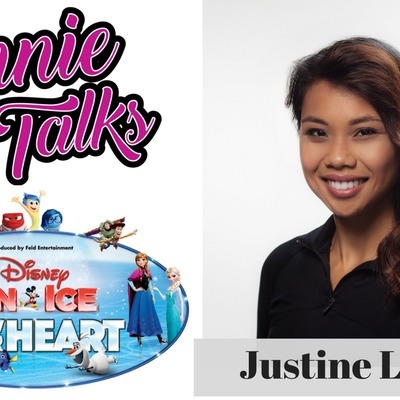 Here now is my conversation with Justine Lopez. 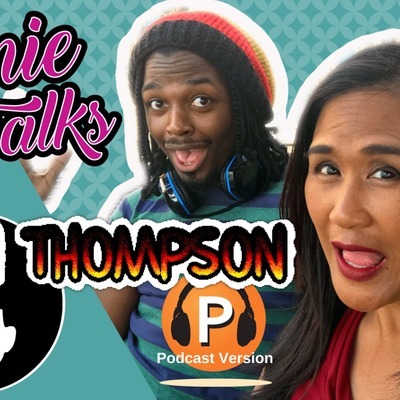 In this episode, I had a conversation with Legends Football League - Los Angeles Temptation Head Coach, Tui Suiaunoa. Suiaunoa was born and raised in Torrance, Calif. He played football and graduated from Carson High School in 1986. He also graduated from El Camino College where we won a National Football Championship in 1987. He would later coach football for El Camino College in 1988 and 1989. He coached football for three years at Redondo Beach high school from 1996 to 1998 and then Carson High School in 2004 and 2005. In 2009 he was asked by friend, David Bizub, who was the head coach of the Los Angeles Temptation at the time. The team won the next three championships in 2010, 2011, and 2012, where he had been with the league ever since. In January 2016, he took over as head coach. 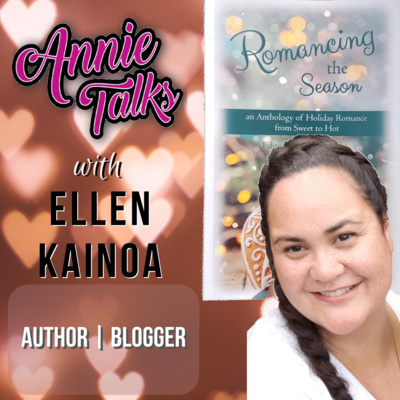 Listen now to my exclusive interview with Tui Suiaunoa. 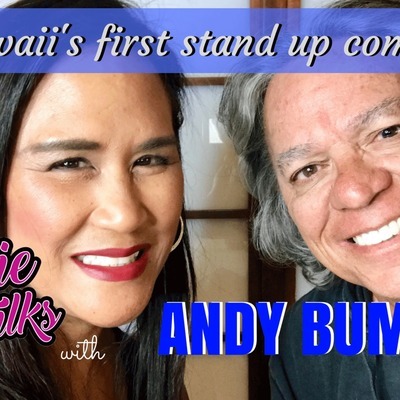 I recently met Andy Bumatai, who is referred to as "Hawaii's first stand-up comic." 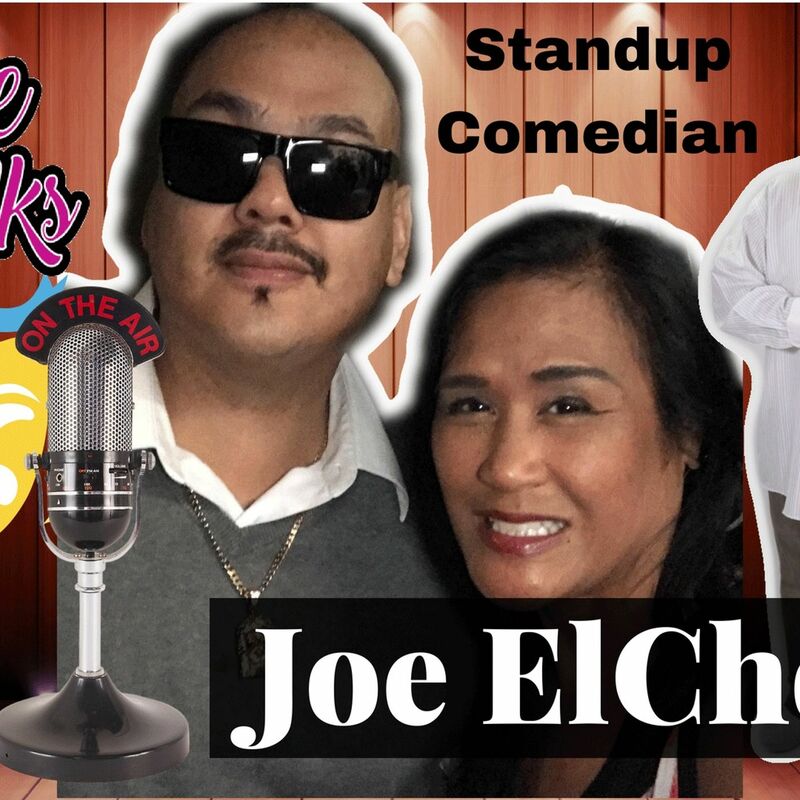 Born and raised in Hawaii, this comedian, actor, and TV show host, got his start as the opening act for a popular comedian Fran De Lima and appeared in movies including "The Whoopee Boys," "Aloha Summer" and "Marker." He later became a TV producer for Hawaii's KGMB-TV - with shows called "High School Daze" and "All in the Ohana." 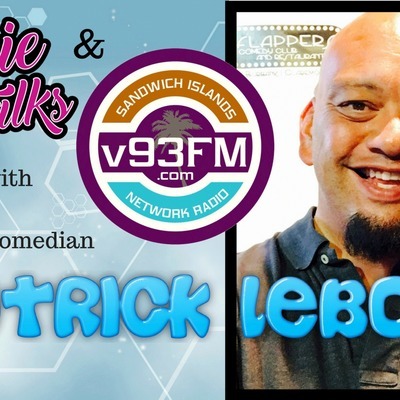 Nationally, he was featured on "Raven," "North Shore," "Baywatch" and he has also produced his own Hawaiian-based online talk show called "The Andy Bumatai Show." Andy is touring the states riding his motorcycle through parts of California, where I met up with him for this interview. 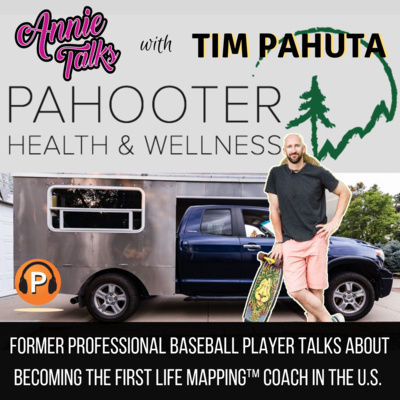 Without revealing too much, in my conversation with Andy, he talks about his life, passion for the outdoors, motorcycles, and has a message for people of all ages. Thinking about getting a tattoo? 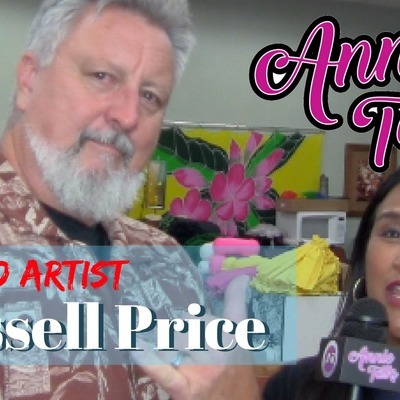 Hear tips from tattoo artist Russell Price on things to consider before getting a tattoo.